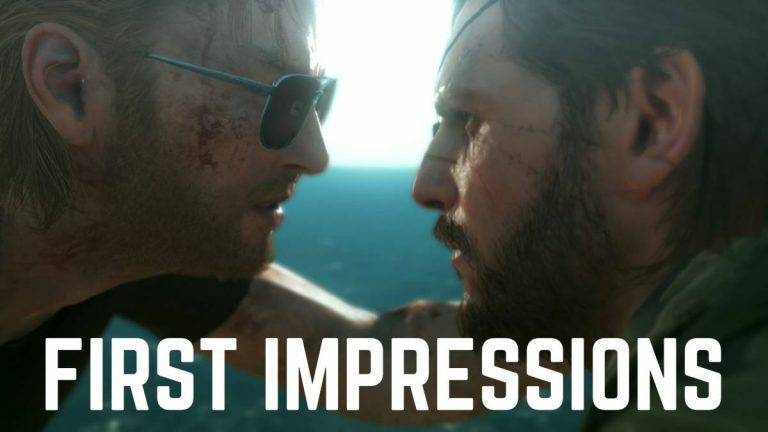 This article is spoiler-free and serves purely to cover some of the gameplay mechanics and performance levels experienced in Metal Gear Solid V: The Phantom Pain during a twelve hour playthrough. A full review will be published later in the week. As I watched Snake crawl across the floor and noticed that I could actually see the muscles in his back moving, I smiled at the realisation that yeah, this is absolutely a Hideo Kojima game. My time with The Phantom Pain has been short so far but oh, so sweet. This is being written at 2am (let me know if you can tell) as I simply can’t shake the compulsion to play it or wait until I wake up before I start transcribing my preliminary thoughts. It’s captivating. MGSV’s biggest accomplishment that I have noticed so far is that it plays almost completely unlike an MGS game. As big a fan as I am of the franchise, even I can admit that the controls err on the clunky side and that it’s a series that’s hard to approach for the neutral. Considering that we’re five editions deep, it’s odd that only now is the story being stripped back to focus on the gameplay and hopefully appeal to the aforementioned neutral, but it’s a welcome change. Although they are iconic, not being chained by codec conversations every few minutes is a relief. Reports that The Phantom Pain runs at 60fps are not unfounded – it’s like a knife through warm butter on my PS4. There have been zero framerate issues to mention and barely even a graphical bug; Kojima Productions must have gone through the expansive world they created with a fine comb. The Afghanistan in which you operate is arid, yet oddly alive in character and things to find. The impulse must’ve to simply copy and paste a bunch of sandy, harsh-looking environments, but the production team have created environments that feel different from one to the next. Combat is much-improved over its predecessors with there being plenty of ways in which to approach most goals. Whether you want to go in all guns blazing or be a sneaky little sneaker, it doesn’t feel as if you’re penalised for either. There’s more of a sense of openness to this than any previous MGS title and in a year where series’ went open-world or went home, Kojima’s gamble looks like it’s paid off. One of the more intriguing new features in TPP is the ability to build up your Mother Base so that it can supply you with all manner of souped-up gear. Finding upgrades and blueprints to advance your HQ is an addictive collectathon and a mechanic which seems like it might add plenty of extra hours onto overall playtime. Recruiting new soldiers is wonderfully silly in that you can incapacitate an enemy before attaching them to what is essentially a weather balloon and watching them fly off to be effectively brainwashed – you can even pull the same trick on wildlife. No sheep has been safe while I have been around. As a Welshman, I kind of walked into that one. Pop culture plays a large role in all of Kojima’s efforts and that’s still relevant here. You can pick up cassettes dotted around the map of popular songs at the time, as well as some more classical releases. It gives proceedings a nice little Fallout-esque touch to them to be listening to retro music as you tear your way across a vast expanse of nothingness. As is to be expected, the score from Harry Gregson-Williams is also to the highest standard. With about twenty to thirty more hours of Metal Gear Solid V: The Phantom Pain to salivate my way through, I can safely say that it’s a case of: “so far, so good”. Can’t wait until I find that dog companion, mind you.